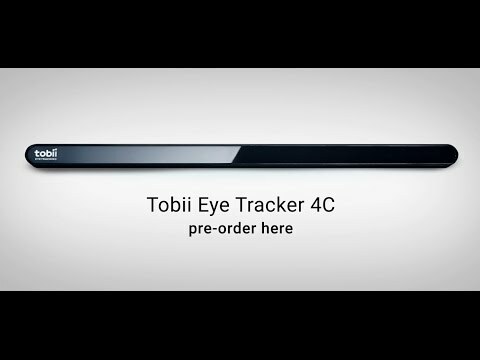 This is the Eye Tracker 4C from Tobii, who is a global leader in eye-tracking. Their vision is for all technology to work in harmony with natural human behavior. Eye tracking is exactly what it sounds like, tracking the movement of the eyes, with this information we are able to provide devces with greater insight to the user’s intention and make the iser experience more natural and intuitive. 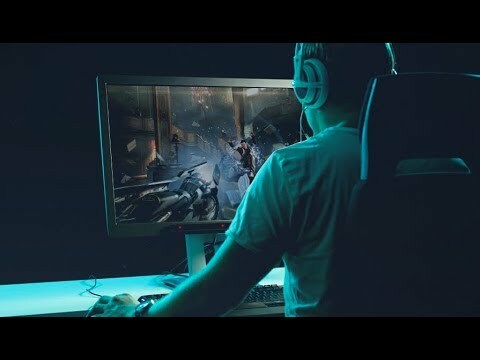 The Eye Tracker 4C only needs a single USB 2.0 connection and gamers can experience an entirely new way to interact with the environment and characters in their favourate games. The 4C is the second generation eye-tracker from Tobii replacing the Tobii EyeX that launched in 2014. Unlock Eye & Head Tracking in the latest PC Games including; Watch Dogs 2, Far Cry 5, ARMA III, MS Flight Simulator X, & DayZ, with the Tobii Eye Tracker 4C. Lead a team of elite agents into a post-pandemic Washington DC to restore order and prevent the collapse of the city. The Division 2 is an online, action shooter RPG experience, where exploration and player-progression are essential. Liberate Washington DC – Save a country on the brink of collapse as you explore an open, dynamic and hostile world. 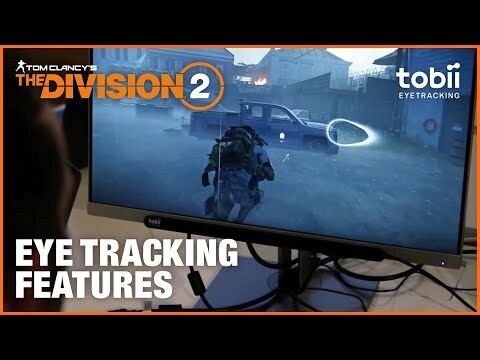 Take the combat to a new level with enhanced eye tracking features in Tom Clancy’s The Division 2. Keep the opposition at bay by using Cover at Gaze to skillfully and efficiently take cover. 1. Buy a device capable of eye tracking (peripheral, or integrated device). The world's first eye tracking ASIC, the EyeChip provides numerous improvements over the Tobii EyeX including reduced data exchange, CPU load and power consumption from the host device. With this, the 4C requires only a single USB 2.0 connection, making it compatible across a wider range of host devices. To stream with Tobii Ghost, you’ll need a compatible Tobii Eye Tracking device, eye Tracking Core Software and Tobii Ghost Software. If you’re using Twitch, get the extension overlay to give your viewers the option to customise how they see the overlay. The Tobii Eye Tracker 4C is the first and only PC gaming device to provide simultaneous head and eye tracking functionality, adding a hugely immersive experience in simulator games. Head Tracking isn't available on all games. The Tobii Eye Tracker is intended to compliment rather than replace your traditional gaming inputs. Using the gamers eye movement to create a new input, pairing eye tracking with your current mouse and keyboard or gamepad controls give gamers a richer, more immersive experience as they are able to mimic actions that occir in real life, such as looking for cover or aiming at a target. 4C owners have over 100 Tobii Eye Tracking Enhanced titles play with, including Watch Dogs 2, Deus Ex: Mankind Divided, Tom Clancy's The Division and more. 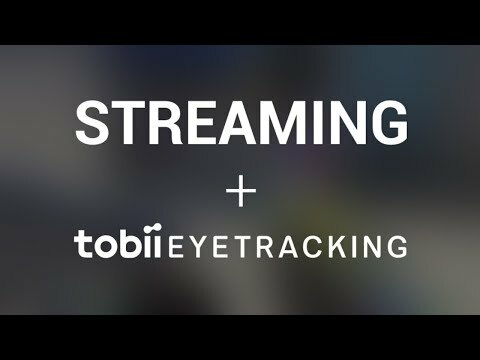 Tobii is working with game developers and studios all over to world to accelerate the adoption of eye tracking in gaming, expecting over 100 titles by the end of 2017. 2. Two mounting brackets for installation. one to get started right away and the other as a spare. 3. The Tobii Eye Tracker 4C with attached USB 2.0 cable, 80cm. 4. The installation guide with instructions on how to mount your eye tracker to a laptop or monitor. 5. Tobii Eye Tracker 4C Box. Please note: The Tobii Eye Tracker 4C is primarily intended for Interactive Use in games and other software. If you want to use or develop software for Analytical Use of eye tracking, such software must have a special license for this from Tobii. For more information, see the end-user license agreement. You can use the Product for development purposes or for your private, noncommercial use only. Do not resell, repackage or redistribute it. Choosing a monitor is not an easy decision to make, and not just because of the large number of variations in resolution, refresh rates, sizes and connectivity options. There are also varying panel technologies used to form each display that need to be considered. These panel technologies can be grouped into three broad categories which cover the vast majority of monitors sold in the consumer market. Nvidia launched the GeForce GTX 980M and GeForce GTX 970M mobile GPUs, based on the latest Maxwell graphics architecture, in October 2014. More recently, in January 2015, the GeForce GTX 965M was released to laptop makers. These new mobile GPUs provide class-leading gaming performance for a wide variety of premium laptops. G-SYNC works in a surprisingly simple way - it calculates how long the present frame takes to compute and then, crucially, varies the refresh rate of the monitor to match. It works between a minimum of 33.3ms (30fps) and the maximum supported refresh of the display. The key takeaway here is that the graphics card and monitor are both synced up to one another - the monitor doesn't have the limitations imposed by a rigid, fixed-rate scanning routine. Modern desktop computers and notebooks comprise of a CPU, motherboard, graphics, storage, and, usually an optical drive. Computers have a number of ports and sockets that enable the user to plug-in various peripherals such as a printer, USB mouse, or, perhaps most importantly of all, an Internet connection. One of the most interesting technologies in 2010 promises to be 3D TV. Pushed by the likes of Samsung, Sony and Panasonic on their high-end sets, 3D TV will gain traction once broadcasters - such as Sky and the BBC - and movie studios increase 3D content. Organic light-emitting diode (OLED) technology is touted as the successor to LCD/Plasma displays. We explain what it is and where you'll find it. Blu-ray Disc is now widely regarded as the physical successor to DVD, we take a closer look at what it is, what advantages it brings, and what it could mean to you. Now shipping with all but the cheapest complete PCs are LCD monitors. Advances in display manufacturing and associated cost reductions with economies of scale have brought LCD monitors into the mainstream, shipping with budget systems that start at just £400. LCD monitors come in all shapes and sizes, have differing resolutions and inputs. The purpose of this TekSpek is to provide a basic understanding of how LCDs work, delineate their desirable features, and to offer basic buying advice. As you’ll all likely know by now, DVI is the current standard for connection of a PC or other display generator to a digital display output. You’ll recognise the multi-pin connector and know that almost all modern LCD displays have the corresponding input connector, for feeding from your PC. But do you know how DVI works? This TekSpek seeks to teach you how. If you’re the least bit interested in graphics cards, we’re sure that you’ve heard the terms SLI and CrossFire bandied about recently. Touted as a means of achieving maximum 3D performance by, effectively, using two or more graphics cards in tandem, multi-GPU technology is here to stay. With that in mind, let’s take a closer look SLI and CrossFire; the two competing multi-GPU solutions from NVIDIA and ATI Technologies, respectively. The array of joysticks on offer is massive with price varying almost as much as the styles of sticks themselves. The trick is buying a stick suited to your needs and not something that either doesn’t do what you need or has extras that you’ll never use. The reason there are so many sticks on the market is because they each fulfill a particular niche… so let’s take a stroll through the joystick forest and sort out the slender silver birches from the mighty oaks…. It’s a debate that’ll carry on until we have thought controlled PCs that respond to our cerebral synapses, but until then the argument over how best to move that in-game version of ourselves will continue. Tobii Eye Tracker 4C PC Gaming Eye + Head Tracking, USB, Supports 100+ PC Games, Twitch Ext is rated 2.0 out of 5 by 3. Rated 2 out of 5 by PeacockDreams29 from This one slipped through the net Have always had an excellent experience when buying from Scan and, firstly, I wouldn't encourage people to go elsewhere if they can get it here. This time though, I was a bit let down. I ordered the Tobii 4C and when it arrived the box was slightly scuffed and marked but I didn't think much of it. Opened the box and the Tobii itself had none of that peel-off plastic protecting it, which I expected it to have. Then I noticed that one of the two magnetic mounts that come with the product (to attach it to your monitor) was missing. The cherry on the cake was that, when I went to redeem my Far Cry 5 key, it was invalid. It turns out that it was a returned item - someone had nabbed themselves a free copy of Far Cry 5 and then sent it back for their refund. That's not Scan's fault but I was still a bit let down by the lack of quality control when making available to buy again, at the same price as a brand new, untouched one. In the, end, having been in touch with Tobii, they have managed to get me a new Far Cry 5 key and are sending a spare magnetic mount out, for which I am very grateful! Again, I have never before had a bad experience with Scan and will continue to buy stuff from them but with a little more hesitation next time, especially if the price is the same or better elsewhere. Rated 3 out of 5 by Brits1 from Could be fun for a while Ok so I decided to get the Tobii Eye Tracker as I play a lot of Arma3and decided to do a short run down of what you may face and enjoy with it. Curved screens is a major problem with this item as it comes with a flat mount designed for flat monitors and no amount of double sided tape will hold it to a curved monitor. After having to make a base for it to stick to and be able to mount it as close to the bottom of the monitor as possible I installed the drivers and software from there website. Everything installed and I was up and running in 10 minutes. Eye recognition is average if you look at an icon in the dead centre of the screen it will be virtually spot on with the mouse pointer, but start looking elsewhere it can be up to 2 - 4 cm out. In game I found you would have to start adding other software to make it work as it is suppose to and can be quite slow to react. Is it fun.. Yes it is and if they get it right it will be a brilliant addition to any 1st or 3rd person shooter or flight sim. Do I use it in game Not really I find the lag to much to deal with especially when you see someone sneaking up on you in game and by time you have managed to turn your head and after the eye tracker has decided what the object you are looking at is not the tree to the left or a slight detour up to the clouds and back down, that so call someone has walked up to you stabbed you 3 -4 times and then pinched all you items.. They may bring out updates in the future which may help but I think by then they would have released 1 or 2 new versions of the actual tracker.. Does this work if you wear glasses? As the title, I have to wear glasses whenever I am awake, in order to be able to see anything, and whilst I am really interested in the Tobii Eye Tracker and am ready to buy, theres no point if glasses interfere with or prevent it from working. will this work with a 50in tv screen?